Popped into Michaels on Thursday and spotted a couple of different great sales going on now through 4/6! 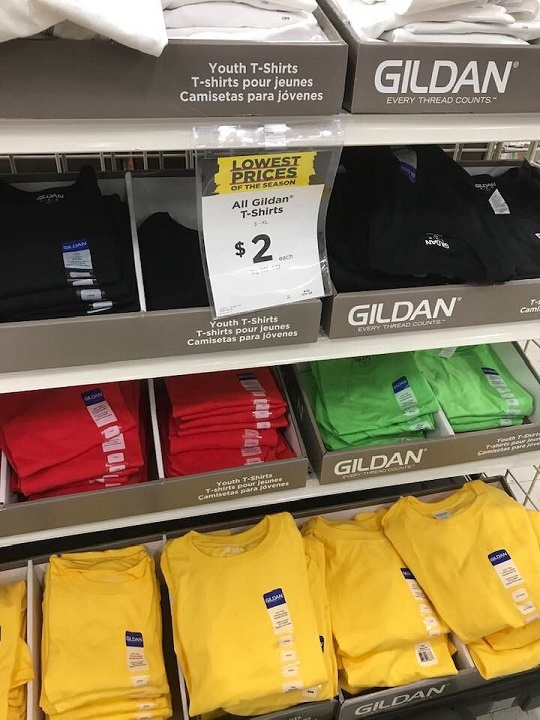 First, all Gildan T-shirts are just $2 and they had so many colors to choose from! Sizes range from S to XL and come in adult or youth sizes. These are regularly priced $3.99 to $5.99. 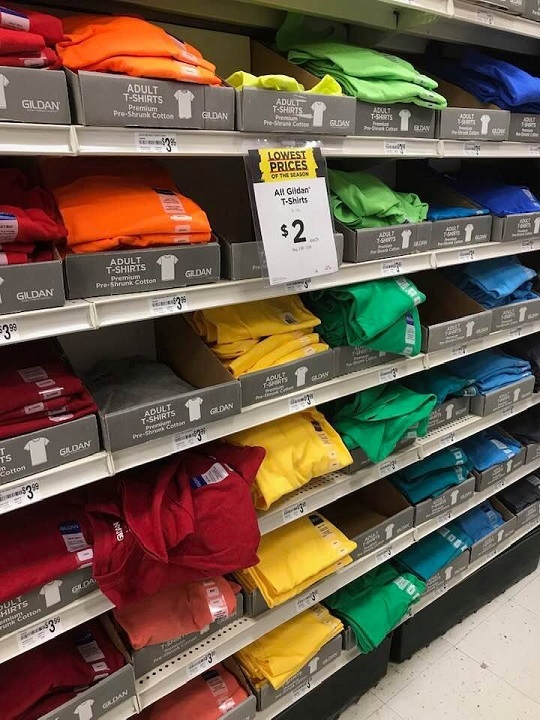 These shirts are great for kids to decorate and give to family members as a gift. Check out this example of how I made T-shirts for both grandpas with my kids a few years back. 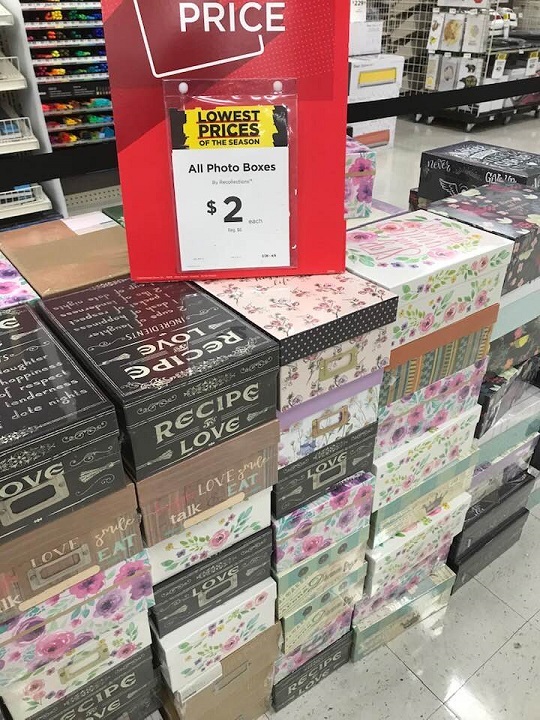 I also spotted all photo boxes on sale for just $2 each! Pick up a few of these and get those photo prints organized! The designs are so pretty, that you could even stack these boxes beside a chair or couch and have your photos easily accessible. You could also get the "Recipe Love" Design to neatly store all of your recipes. These are regularly priced $6 each. 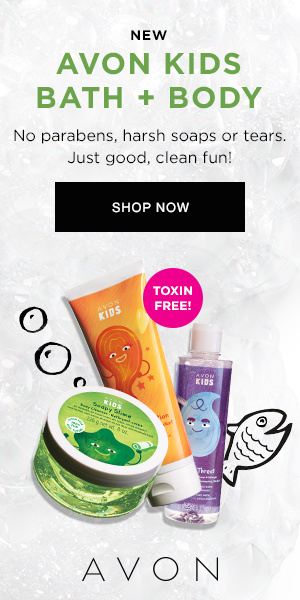 Both sales end Saturday, April 6, 2019.